Marvelous Multiagers! : Dreidel Dreidel Dreidel! We have had a crazy week with tons of interruptions for Christmas program practice. Today the kids were pretty good, all things considered, so I rewarded them with Adventure to Fitness (yeah!!) and I taught them how to play dreidel! 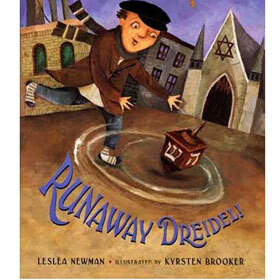 First, I read them Runaway Dreidel! Then I broke out the dreidel and the chocolate chips that we used to play! Let me just tell you - in my 79 days of teaching these kids, I have never seen them be more focused and engaged on anything, ever! They were so into playing dreidel.